Last month, former two-division champion Conor Mcgregor and a group of roughly a dozen associates attacked a bus transporting several UFC fighters, hurled a metal dolly through one of its windows. That’s when the situation became unhinged. McGregor was searching for rival Khabib Nurmagomedov, who earlier in the week had an altercation with one of the Irishman’s teammates, Artem Lobov. The incident left two fighters injured and forced to remove from their respective fights. The women’s straw-weight champion was also on board in the same bus was left shaken up by the attack. Rose Namajunas contemplated withdrawing from the fight card but decided to go on and successfully defended her strawweight title against Joanna Jedrzejczyk. 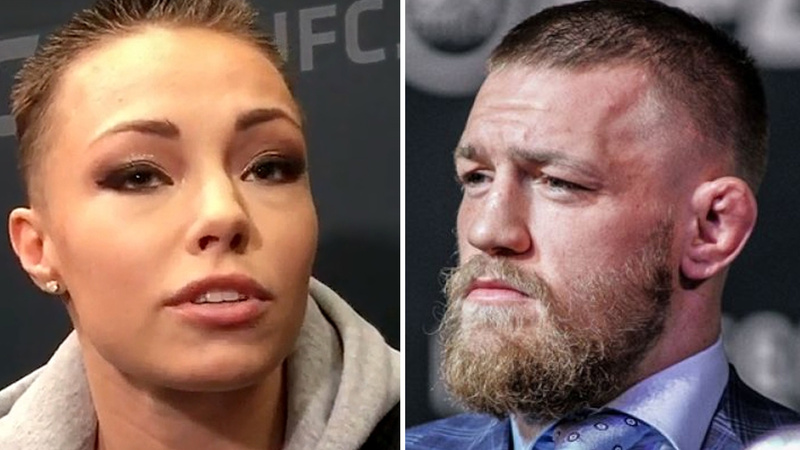 During an appearance on the Outside The Cage podcast, Rose Namajunas’ boyfriend, former UFC heavyweight Pat Barry, revealed that Irishman messaged ‘Thug’ on social media to apologize for nearly injuring her. As per Barry, Namajunas had a seething response to McGregor’s apology. Namajunas second consecutive victory over one of greatest WMMA fighter was undoubtedly overshadowed by a violent and useless incident. It’s apparent the focus will remain on UFC superstar, it’s hard to look past Namajunas desire to recognize her efforts in the Octagon rather keep putting the limelight on Mcgregor who committed the crime. Mcgregor was charged with three counts of assault and one count of criminal mischief for his rampage in Brooklyn and due back in court on June 14.